Another year has flown and here I am with a handful of Christmas gifts ideas for drinks lovers. My choices are based on the simple scientific law that I’d want them myself. I Love Champagne (RRP £12.99) is a fabulous guide by Davy Zyw subtitled “Fall in love with 50 of the world’s best champagnes” and it helps you do exactly that. There’s glossy sections on 50 champagne houses, food tips, history and loads of other info too. Fantastic. I love The Wine Dine Dictionary (RRP £20) by Victoria Moore. The first section lists foods in an A-Z and offers brilliant wine pairings; then the role is reversed in part two, with the wines in an A-Z alongside suggested foods. It is a must-have for food and wine lovers. I’m very excited. In Clean Cocktails (RRP £20) Beth Ritter Nydick and Tara Roscioli share pages of colourful cocktails recipes, all with the emphasis on health. They use low-calorie spirits, fresh juices and natural sweeteners. Naughty but also good for you. Doctor’s Orders (RRP £12.99, Hardie Grant) by Chris Edwards and Dave Tregenza is another book full of cocktail ideas to restore, refresh and revive. Edwards and Tregenza have created drinks such as Thirst Aid with gin and herbs and An Apple a Day with Cognac and Calvados. The title of the book Ginspiration (RRP £9.99, DK.com) is a giveaway to what lies inside. There’s an A-Z of well-known gin brands, with lots of gin cocktail recipes and a guide to creating your own flavour-infused gin. A bit of gin DIY for you. *Find these books on Amazon or good book stores. A couple of miniature sets to look out for. The Whitley Neill Small Batch Gin Selection (RRP £12.99, Amazon) includes 5cl of Whitley Neill Gin, made with South African botanicals cape gooseberry and baobab and 5cl of Whitley Neill Quince Gin and Whitley Neill Rhubarb & Ginger Gin. The City of London Distillery Gin Taster Selection Box (RRP £34.99, Amazon) has five 5cl tipples of premium small-batch artisan gins all handcrafted in the Square Mile’s first gin distillery for nearly 200 years. It includes Christopher Wren Gin and City of London Old Tom Gin. Or here’s a thing, dangle gin from your tree with a pack of Pickering’s Gin-filled Christmas baubles (£30 for 6, baubles.pickeringsgin.com). The One Fo(u)r Brut and Brut Rosé (£10 and £12 respectively, John Lewis) are festive, fizzy and fun; 20cl bottles bubble-packed with Nicolas Feuillatte Champagne. Boozy Berries (£6.50, pinkstergin.com) is a jar of oh-so-punchy raspberries left over from making Pinkster gin. Pop them in a pudding or dip them in chocolate. The Prosecco Gift Set (£45, virginiahayward.com) is relaxation in a box and includes truffles from the Secret Truffletier, a bottle of prosecco and a Vineyard Candle. In the Chapel Down Vine Lease Scheme (from £275) five vines can be leased from the Chapel Down Bacchus vineyard in Tenterden. 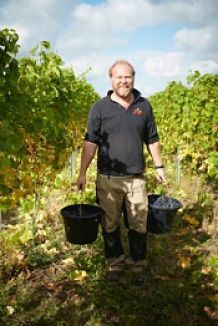 People can follow the seasons by visiting their vines, enjoy an annual celebration lunch at the winery and take home a case of their own Tenterden Estate Bacchus wine complete with personalised wine labels. 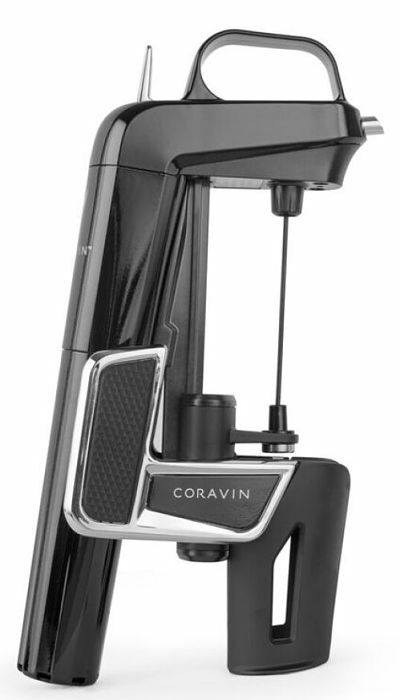 The Coravin Mark 2 (£249, coravin.co.uk) is a grown-up gadget. The technology allows you to pour the right amount of wine you want without removing the cork. This keeps the wine fresh in the bottle for a long time. I guess you’ll love someone lots to buy them this … but they’ll keep rewarding you with wine. 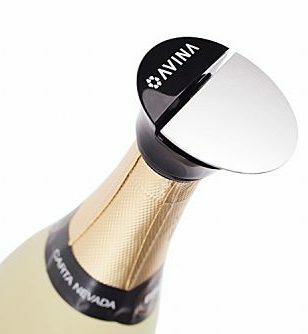 If the one you love enjoys lots of fizz and likes to keep some opened in the fridge, then the Premium Champagne Stopper (£11.42) from Avina could be perfect. The simple stopper clicks in to an opened bottle to keep the bubbles as fresh as the day they were opened. If you use this code AVINA15F you’ll get 15% off on the Avina website. A lifetime membership of The Wine Society (thewinesociety.com, £40) is a snip and there’s a £20 credit towards the first order. A subscription with online Your Sommelier (from £36 a month) is a great shout. Each month three French wines arrive from vineyards and there’s tasting notes and regional guides. Which cream liqueur wins 14-bottle mystery taste test? 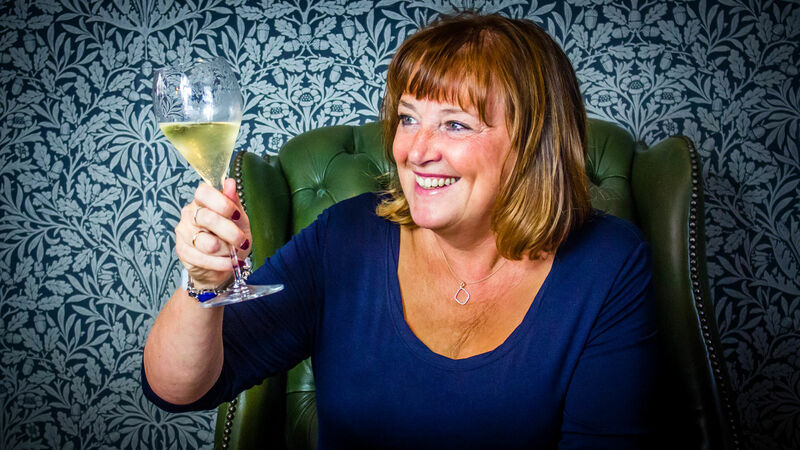 Jane Clare is a member of the Circle of Wine Writers. Click on the image to find out more. If you want to learn about wine and spirits the WSET can guide you. Click on the image.